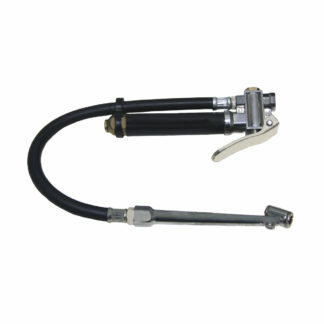 10860 GRIP Tire Inflator Deluxe w/Gauge 10-120 PSI Description Offset dual chuck allows easy access to valves. Easy to read pressure gauge measures 10-120 psi. Includes 12″ HD rubber hose and 6″ chrome plated chuck.